There are five new members of the London Assembly this term so we thought we'd find out a bit more about them. 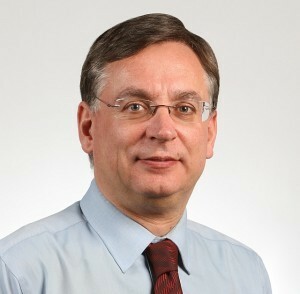 Andrew Dismore lost his Hendon Parliamentary seat by 103 votes in 2010 and is now the Labour member for Barnet and Camden. He beat Brian Coleman in a campaign that saw the former Conservative member storming into local shops demanding they take down posters. What did you do before becoming an Assembly Member? I was MP for Hendon for 13 years and leader of the Labour group on Westminster Council before that, where I was involved in exposing the 'homes for votes' scandal. I was a practising lawyer for 20 years while on the council and in the last couple of years I've run my own consultancy and been a part-time judge. Why did you stand for the London Assembly? I want to make life better for people. I'm a politician at heart, I've worked in politics for the last 20 years. The Barnet and Camden campaign was a one-off; do you think you won because people were fed up with Brian Coleman, a swing to Labour or a mixture of both? I'd heard the phrase 'all election candidates do is annoy the electorate', but I'd never thought of it as an election strategy before! It was a kind of Spring Revolution of Barnet, lots of pop up campaigns that had nothing to do with the Labour party. In Barnet there was a significant difference between people voting for me and voting for Ken, who's never been very popular in Barnet. I have a bigger majority than when I won in 1997 and there was a good swing to Labour in the party list vote. It's an endorsement of what Camden Council is doing to minimise the impact of the cuts and that Barnet Council is ignoring local views, and Brian Coleman suffered the backlash from that. What are your areas of political interest? I'll be chairing the Assembly Economy committee for the first year and I'm also on the Fire Authority. I have a long association with the Fire Brigades Union (FBU) as a lawyer. They recognise that there are difficult times ahead and can make a positive contribution to the future of the service. A confrontational approach did nobody any good, let alone the people of London. I'd like to help improve industrial relations. What do you hope to have achieved by the end of four years? I hope my contribution towards the Assembly will be to make it more effective and efficient in its scrutiny. I'm there to hold the Mayor to account – I was an MP at the same time as Boris and we had a few ding dongs across the chamber, especially on London issues. I'm not going to take any of his bluster, either he knows the answer or he doesn't. I was surprised by the sycophancy of the Tories at Mayor's Question Time, they need to ask some real questions. The Mayor's Question Time system also needs reform, it's not as efficient as it could be. There's always room to make things better. I chaired the Human Rights Committee in parliament so I'm used to scrutinising, and there are things that can be done to improve the Assembly's scrutiny of the Mayor. What's your favourite bit of London? In my constituency I know Barnet better, and I like the Greyhound pub in Hendon and parts of Mill Hill for walking. And you can't beat Camden Town for vibrancy. I'm also fond of Bayswater, which is where I started off in politics.